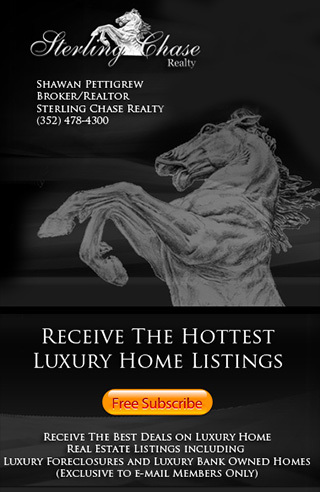 Find Longwood Homes for Sale & Longwood Real Estate Listings. Search Longwood MLS for Housing Market Information, Schools, Houses, Bank Foreclosures, Short Sales & more! Longwood is located in Seminole County and is just 20 miuntes away from Orlando. Longwood is know for its Luxury Real Estate, Amazing Golf Courses, shopping and entertainment. Longwood features Luxury Gated Golf Communites including Legacy Club at Alaqua Lakes and The Country Club at Alaqua. Winfield North offers Homes for sale on 1 Acre lots that are 5,000+ sqft. Longwood is home to Dwight Howard of the Orlando Magic. Dwight lives in one of Longwoods most expensive homes in The Lake Club off Rice Lake Loop. If you are looking for a specific home in Longwood such as a home with a certain number of bedrooms or a home within a specific price range, you can concentrate the list of Longwood properties for sale to the ones that actually meet your requirements. From there you can focus on property details, pictures, maps and more to find out which homes work the best. Once you have selected a few Longwood homes to view, contact us at 352-404-4622 so we can arrange showing appointments for you to see inside.